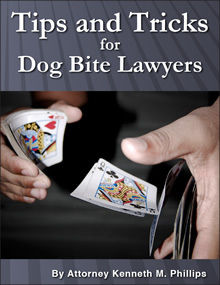 A dog bite victim in Tennessee can recover compensation under a special statute and the doctrines of negligence, negligence per se, scienter, and intentional tort. The dog bite statute has an unusual limitation: it does not necessarily apply to injuries occuring on the dog owner's property, although it can possibly apply there. The law was written by Attorney Kenneth M. Phillips, the author of Dog Bite Law, except for the "residential exclusion" which was an amendment to his draft. In 2007 Tennessee established strict liability for canine-inflicted injuries (bites and other injuries) under specific circumstances. Attorney Kenneth M. Phillips, the author of Dog Bite Law (this website), wrote the original bill on which the law was based, and testified about dogs and the law before the Senate Judiciary Committee. See the video of him testifying about the need to abandon the "one bite rule," below. There is no liability for an attack that occurs on residential, farm or other noncommercial property owned, rented or leased by the dog owner, or occupied by the dog owner with permission, unless the victim proves scienter (see below). This last exception is referred to as the "residential exclusion." The residential exclusion is a significant shortcoming of the Tennessee statute. 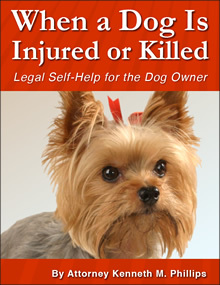 It requires a victim to prove scienter (i.e., that the dog's owner knew or should have known of the dog's "dangerous propensities") if the injury-producing incident happened on residential, farm or other noncommercial property that the dog owner owned, leased, rented or was upon by virtue of the property owner's invitation. To learn more about the scienter requirement, see Scienter, Common Law Strict Liability (below), and also The One Bite Rule. 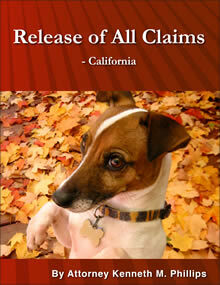 Tennessee is the only USA state that has a "residential exclusion" in its dog liability statute. The exclusion was not in the bill which was drafted by Attorney Phillips. 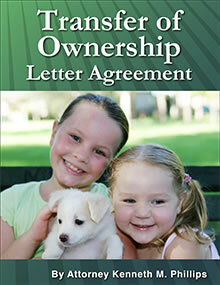 It is a large loophole in the statute because over 50 percent of bites occur on the dog owner's property. (See Insurance Information Institute, Dog Bite Liability, accessed 8/4/08.) This means that the residential exclusion leaves over 50% of otherwise-qualified victims in Tennessee without compensation. Guests in a dog owner's home are not covered by his insurance, while strangers he encounters on the street are fully covered. For example, a dog owner's 6-year-old neice, bitten in the face, would not receive the necessary money for cosmetic surgery in years to come, while an unknown person bitten outside the house would. This is the type of legal loophole that the insurance industry puts into laws because no thinking, honest or compassionate person would do so. If you are not a lawyer, but are a dog bite victim or a dog owner whose dog bit a person, the complexity of this law requires that you consult an attorney before talking to the other party's insurance adjuster. "The owner or keeper of the dog is not answerable for injuries done by it when in a place it had a right to be, unless the dog was in fact vicious or otherwise dangerous, the owner or keeper knew, or under the circumstances should have known, of the dangerous disposition of the animal, and the injuries resulted from the known vicious or dangerous propensity of the animal. 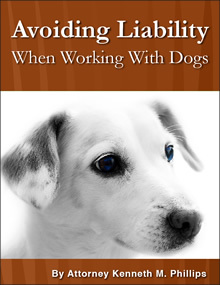 The basic key to recovery of damages for injuries caused by a dog is the knowledge of the owner or keeper that the animal is vicious or has mischievous propensities." Plaintiffs suing for injuries or death caused by a dog bite must prove three elements. 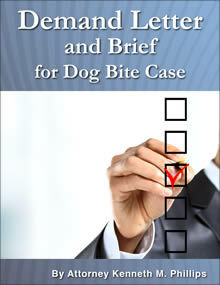 "First, they must prove that the defendant owned the dog. Second, they must prove that the defendant's dog caused the injuries. Third, they must prove that the defendants knew or should have known about the dog's dangerous propensities." Eden v. Johnson, No. 01A01-9603-CV-00141, 1996 WL 474428, at *2 (Tenn. Ct. App., Aug. 21, 1996) (citing Thompson v. Thompson, 749 S.W.2d 468, 470 (Tenn. Ct. App. 1988)); See Fletcher v. Richardson, 603 S.W.2d 734, 735 (Tenn. 1980) ("the basic key to recovery of damages for injuries caused by a dog is the knowledge of the owner or keeper that the animal is vicious or has mischievous propensities"). The state allows dog bite victims to recover damages caused by negligent dog owners. There must be proof of negligence. This can be difficult to prove, especially where the dog bite victim is a child and there were no witnesses, or where a person is killed and there are no witnesses. The owner or keeper of domestic animals is liable for injuries inflicted by them only where he has been negligent, the animals were wrongfully in the place where they inflicted the injuries, or the injuries are the result of known vicious tendencies or propensities. A person has a right to own or keep domestic animals of any kind provided they are so restrained as to not expose others engaged in their ordinary or lawful pursuits to danger. The owner or keeper of a domestic animal is bound to take notice of the general propensities of the class to which it belongs, and also of any particular propensities peculiar to the animal itself of which he has knowledge or is put on notice; and in so far as such propensities are of a nature likely to cause injury he must exercise reasonable care to guard against them and to prevent injuries which are reasonably to be anticipated from them. McAbee v. Daniel, 445 S.W.2d 917, 923 (Tenn. App. 1968). The violation of a statute or regulation is negligence per se as to members of the class that the statute or regulation is intended to protect. Alex v. Armstrong, 215 Tenn. 276, 385 S.W.2d 110 (1964); Traylor v. Coburn, 597 S.W.2d 319, 322 (Tenn. App. 1980); Berry v. Whitworth, 576 S.W.2d 351, 353 (Tenn. App. 1978). See Further Research (below) for a link that will enable you to research local laws on which this cause of action is based. Langford v. Darden, No. M2004-00158-COA-R3-CV (Tenn.App. 02/16/2005) was a dog bite case against an absent landlord. The plaintiff argued that owing to the pervasive publicity about the viciousness of the tenants' dog, the landlord had constructive notice of its propensity to violence and should therefore be held liable. 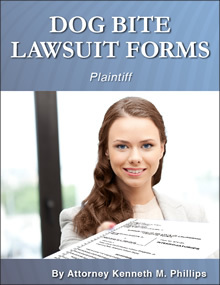 Summary judgment was granted to the landlord. The court of appeals affirmed. 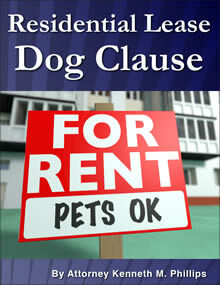 It stated that since Quarles was neither the owner nor the harborer of the dog, he could be held liable for the acts of the dog only upon proof that he had knowledge of the propensity of the dog to violence, and that he retained sufficient control over the leased premises to afford an opportunity for the landlord to require the tenant to remove the dog. Dog owners shall, at all times, keep their animals on a leash or other suitable restraint or confined by a fence on their property or the private property of another, with the permission of the owner of that property so as to prevent the animal from being at large, biting or harassing any person engaged in a lawful act, interfering with the use of public property or with the use of another person's private property, or being in violation of any other section of this Code. No animal shall be allowed to run at large even on the property of the owner of such animal, unless confined by a fence or other suitable restraint. State statutes and related materials can be found at the Tennessee section of Laws.com. 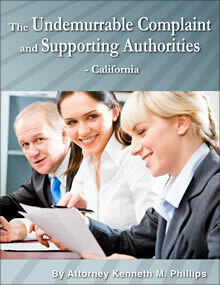 City and county laws can be found at MTAS Municipal Codes. Always read both the city and county laws, not one or the other, because both can apply to the same case.